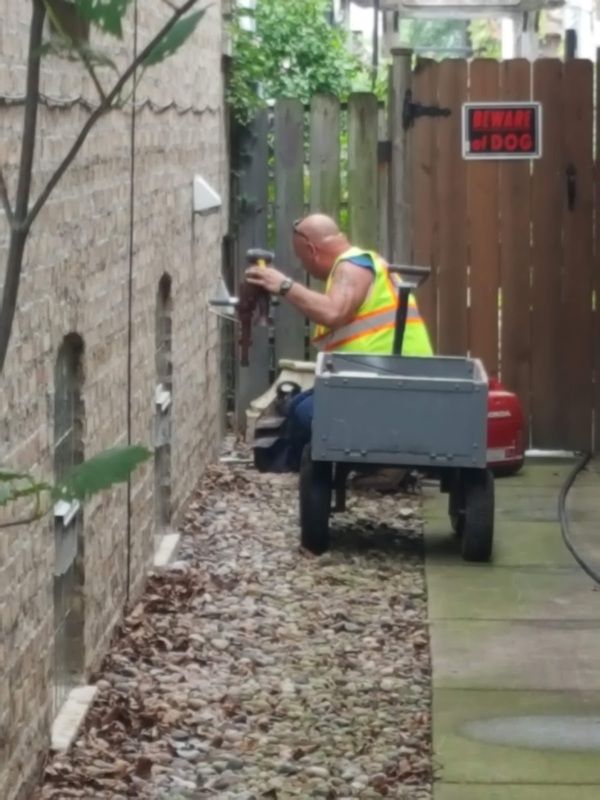 Peoples Gas installs a new gas meter on the exterior of my home. 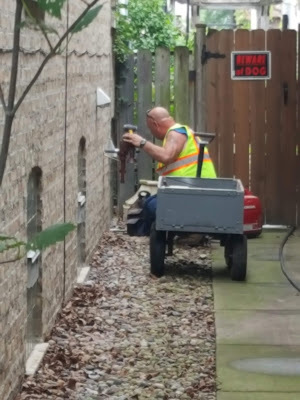 As part of the Peoples Gas enormous modernization project (yes the reason your street was torn up) Chicago gas meters are being replaced and moved to the exterior of the home. A tech must enter your property and determine where the gas lines can be run to the new meter. As a homeowner you want to make sure the meter is placed in a nondescript area of the house. It is ugly. You don't want the meter by your front door. Watch as a new hole is drilled into my basement. Luckily we have an unfinished laundry room in the area where the gas meter will be placed. In this case I welcomed the change. We get the big ugly meter removed from the interior front of my basement. Our street is scheduled to be torn up next year for the gas line replacement. Yay.